This month, I was fortunate enough to attend the first-ever gathering of female CEOs leading certified B Corporations from across the country. We ranged in size from individual consultants to leaders of global brands. Our host was the inimitable and inspiring Eileen Fisher. 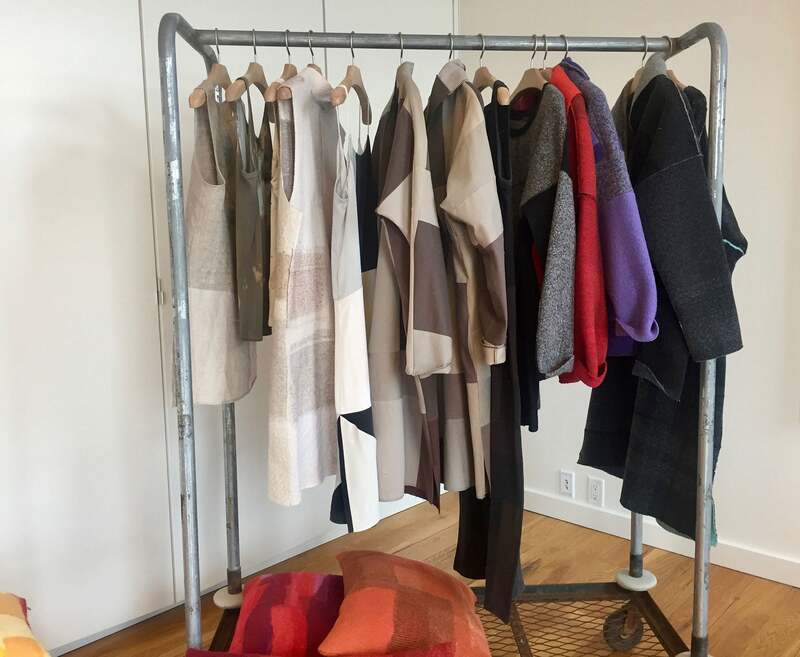 We met at the Eileen Fisher LifeWork Center in Irvington NY, an historic building overlooking the Hudson River that hosts seminars and workshops year round. It is also home to the Tiny Factory, where gently used and returned Eileen Fisher clothing is repurposed into new life. The event’s theme was "We The Change. Women Together." We began with silence to ensure we were all present and ready to begin a day of collaborating. If only all meetings started that way. We might see very different outcomes. • Listen - Be open to hearing what people have to say. We will get further when we listen more. • Be Kind - Self explanatory. • Tell the Truth - Sad that it even has to be said out loud, but I’m glad it was. • Make Mistakes and Talk about Them - Mistakes are only valuable if you look at them, talk about them and improve behaviors. Eileen embraces mistakes, so long as they are used for learning. In true entrepreneurial form, Eileen loves problems. She loves solving them. That’s something entrepreneurs seem to universally share. And that was less than half the list! Lofty to be sure for a one-day event. Yet, as we broke into groups to discuss vision, priorities and action steps, you could tell this was a room full of women used to making things happen. There were actionable takeaways from each group and a desire to keep connecting and working on these important subjects. So while we didn’t solve all the world’s problems in one day, we certainly took a step towards it. The day reminded me that there are lots of good people, attempting to do good things with their time, money and businesses. The B Corp community is absolutely full of those people. Get to know it if you don’t. Spend your money with B Corp companies, they are values led and committed to doing good in the world! 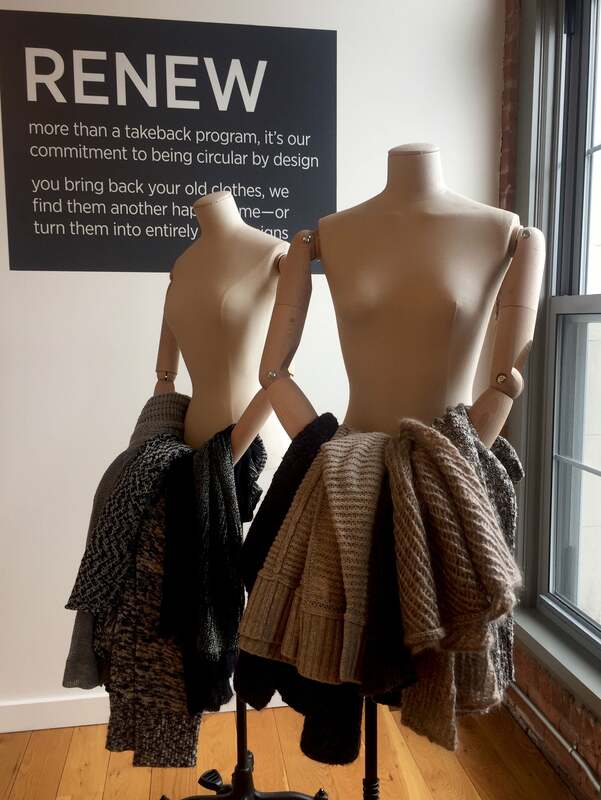 The Eileen Fisher Renew Program finds a way to use old clothing, no mater what. Sample of new clothing and pillows created from old clothing.